One week to go ladies and gents! It has felt like one long off season without any summer football, but we have finally hit the light at the end of the tunnel. With footballers getting themselves ready for the start of the season, we have been given an unspoiled look at everyone’s boots for the start of the season. And there are some rather interesting spots this week, from custom boots to boot switches, check out the big boot spots that caught our eye this week. It seems old Paul is finding it as hard to work out what boots to wear as it is for us to work out what club the gifted midfielder might end up moving to. The Frenchman has been seen in two different custom Obras in the past week, but it is not the first time we have seen either boot in the past 12 months. 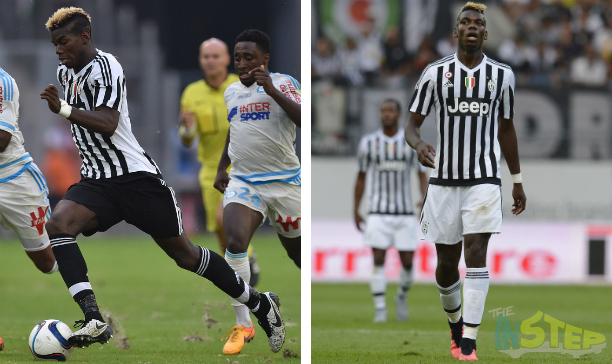 The Hyper Punch Obra was making it’s appearance on Pogba’s feet in December last year, while the unique black and white Obra was worn by Pogba in the tail end of last season. It is always interesting to see what boots Pogba wears, we would not be surprised to see him in another custom boot next week. You cannot have a much more classy boot than the new kicks that Memphis Depay has been showing off this week. The starlet has been given his own custom pair of Under Armour Speedform boots, with the black being a nod to his favourite colour and the gold symbolising his past triumphs as a player. Amazingly, even though these are not available on the market, Under Armour have got a special competition running on their Twitter feed to let a few lucky people have their hands on this truly unique (and rather good looking) boot. Check it all out on our run down of the competition here. So Arsene finally got one over his old mate Jose, and Arsenal did not really look too bad in the process. 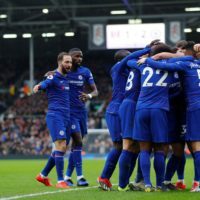 One of the players they will be looking towards being a vital contributor to potential successes this season would certainly be Mesut Ozil, and the German will be doing it all in a rather customised boot. The general release ACE 15.1 sports one of the most unique stud layouts that could be described as a mix between a FG and AG stud configuration. 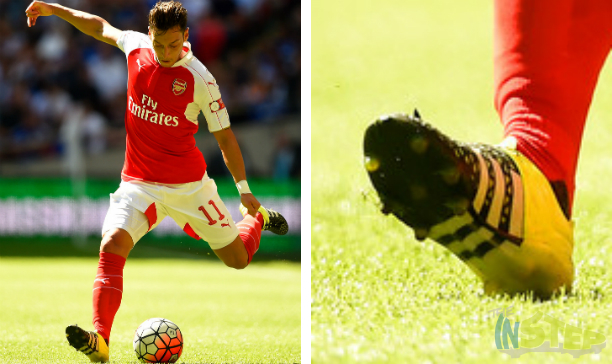 Mesut’s boots feature a more traditional stud layout, where the four heel studs have been combined with what looks like the seven front studs from the Predator Instinct. That’s one of the perks of being a contracted player eh? Ah the Umbro Speciali Eternal, the new range from Umbro is truly a wonderful throwback to the boots of old, especially with that cracking fold over tongue. The boot pays homage to how boots used to be in the 90s, and Pepe is the player who has been given the honour of showing the boots off to the world. While a black and a white version of the boot was unveiled last month, it seems Pepe has been caught rather cheekily unveiling a future colourway for the boot. The purple boot will probably be released in the next few weeks, but it is an eye-catching colourway that still does not take attention away from the heritage nature of the boot. We do not see it too often from the boot companies, but Nike have taken the road less traveled when it came to their new boots for the start of the 15/16 season. 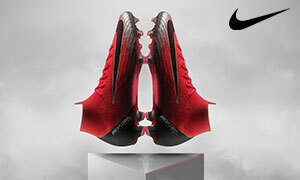 Instead of launching one universal colourway for their new Hypervenom Phantom, a green Hypervenom as well as an orange one have been launched. The vast majority of Nike’s contracted players have been given the orange colourway, but the green one has been set aside for a select few players, including Neymar. 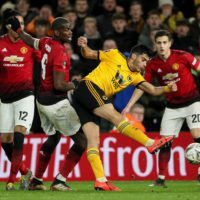 Is Lukman Haruna one of those selected players? Nah, probably not. 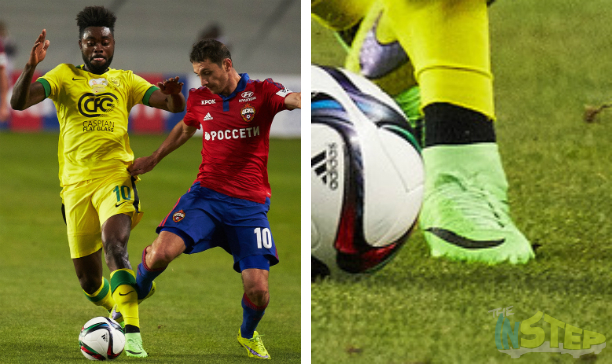 We reckon the Nigerian midfielder simply picked up his own pair like us mere mortals do. The distribution between players going for the standard ACE and X boots and their leather counterparts is, as expected, heavily skewed towards players going for the regular iterations of the respective boot. 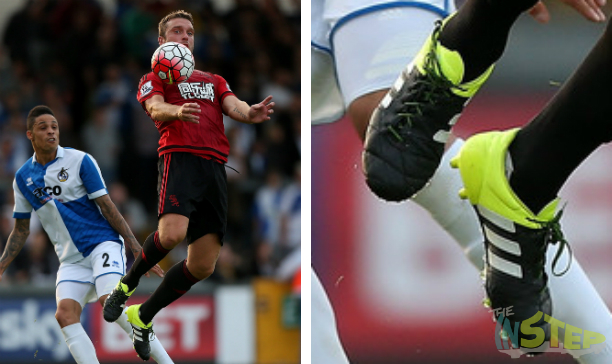 The odd player has been seen in the leather ACE 15.1, and Rickie Lambert is the latest player spotted in the leather ACE. Being the big, burly striker that he is, the leather ACE does seem to be the sort of boot that fits Lambert as a player. He would want to keep up a scoring run too, he scored on debut for WBA only three hours after being unveiled as a player. 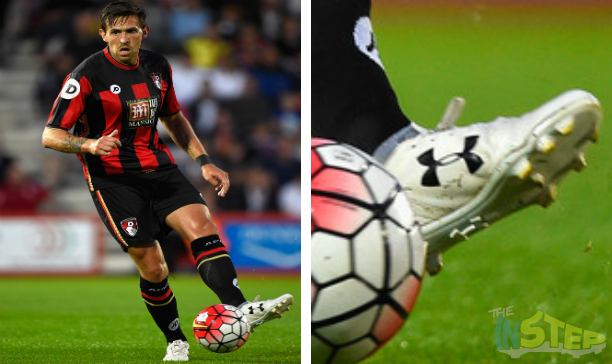 While we are on the topic of leather boots, Charlie Daniels is one of very few Premier League players who have picked up the new leather Under Armour Speedform, which has been crafted from leather. 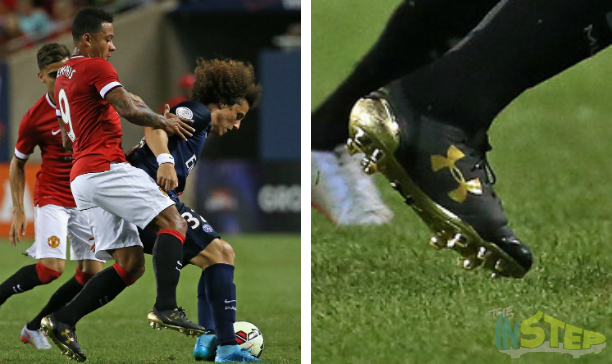 Weighing in at 220 grams, Daniels joins Depay as the player repping Under Armour boots this season. It is certainly an interesting looking boot from Under Armour, and is certainly a more universally appealing boot than some of he boots out on the market. Who does not love a good customised boot spot? Especially when it has been colour co-ordinated too. Antonee Robison has got a cracker on his hands with his customised Superfly IVs, with the Blue Lagoon matching up well with his Everton home kit. The blue looks a lot like the blue used on the Nike Womens World Cup pack of boots, and it is great to see a boot featuring that same stunning blue.